Stunning isn’t it? 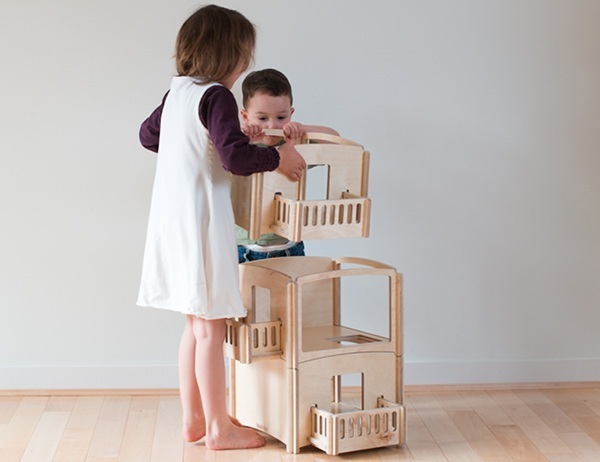 I adore the plain, unpainted wood and of course, its modular structure, which allows kids to make many different configurations. I’d be lying if I said I didn’t harbour a secret desire for an architect in the family. There’s something about the paradoxically tenuous, yet permanent stamp they leave on our cities, towns and psyches. A space can inspire, hinder, paralyse and enable – is it any great surprise that so much creative brilliance happens in the Sydney Opera House? 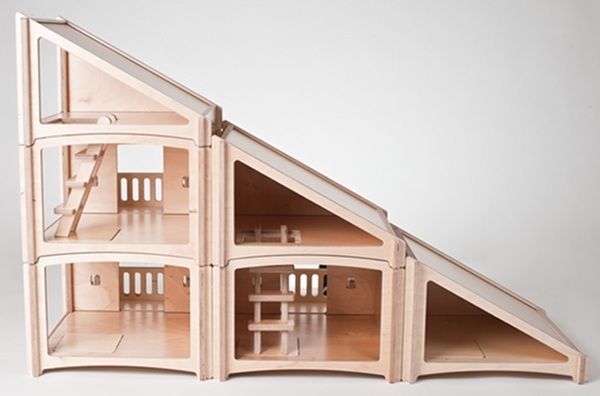 Start them modifying structures young with this incredible Stackhouse Dollhouse by Toideloi. 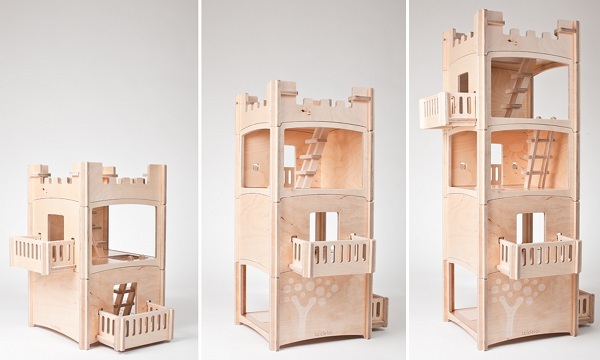 One day it’s a fort, then next day it’s Rapunzel’s tower and the day after that it’s a farmhouse! 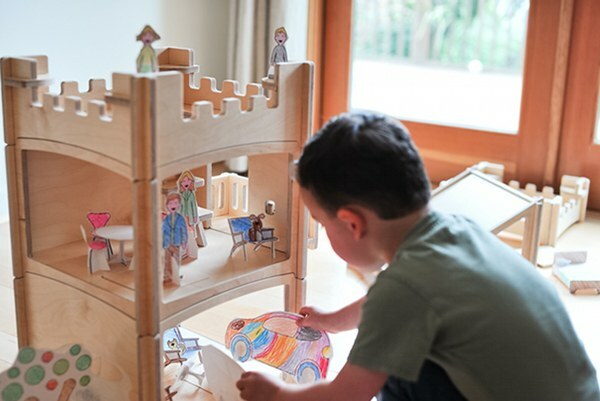 They will spend hours stacking and unstacking the substantially-sized pieces and arranging dolls, cars and other favourite toys within. I especially love that it’s absolutely unisex and not emblazoned with gender signifiers of any kind. It’s designed by Dutch designer Martijn van Tilburg and is made in the USA. It can be bought piece by piece (from US$75) or as various sets of pieces (from $130 to $540) and Toideloi will ship internationally.